Philadelphia Community Access Media (PhillyCAM) is a non-profit facilitator of a public access cable system in Philadelphia. 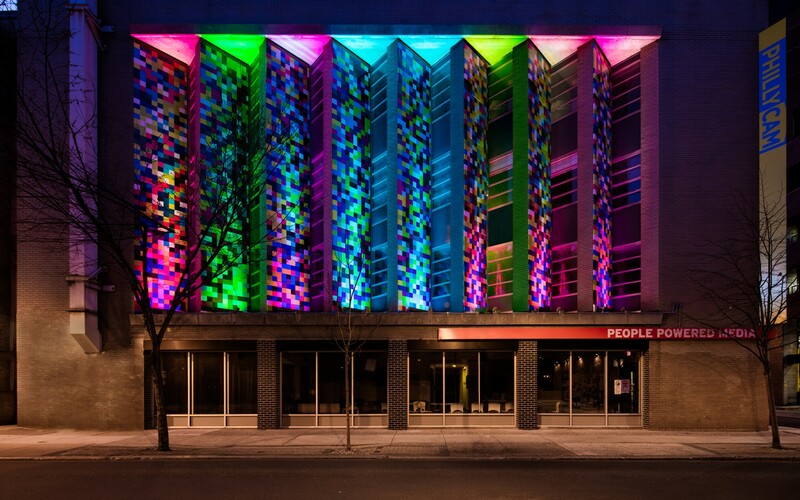 A mix of Lumenbeam and Lumenfacade Color Changing luminaires were used to bring a unique TV static motif to life. 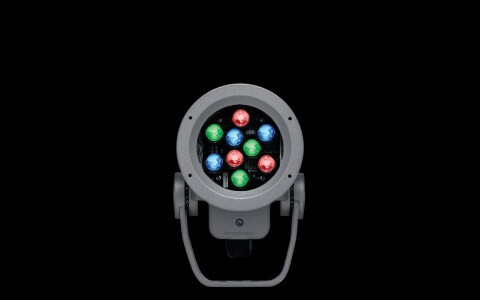 Programmed to cycle through different colors, the luminaires were carefully aimed to limit glare and light pollution. The luminaires, which use a narrow beam angle, were installed in an alcove and aimed towards the top of the sawtooth facade. 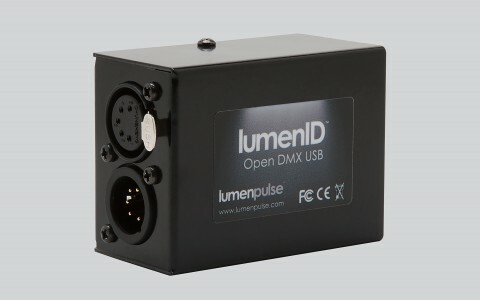 Lumenfacade luminaires light the bottom half, while Lumenbeam fixtures, mounted further from the panel, light the upper portion of the graphics. The result creates a vivid TV fuzz effect, which gives the building a sense of movement and fun, all while keeping the original architecture intact. 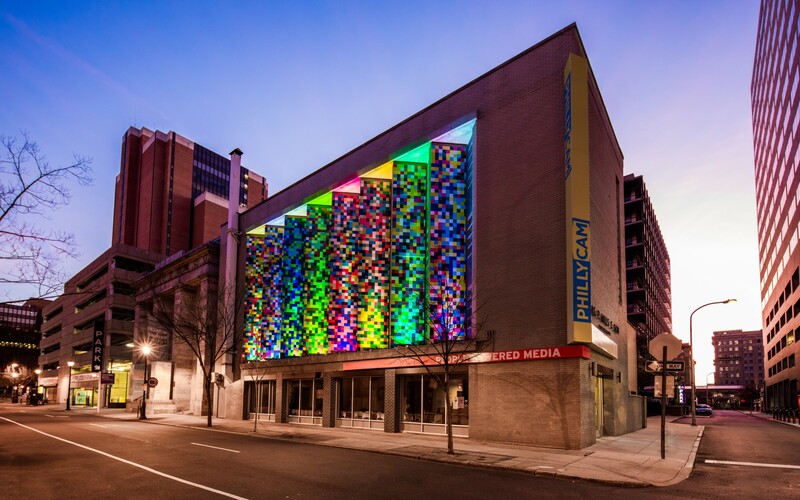 Lighting designers BEAM used a mix of Lumenbeam and Lumenfacade Color Changing luminaires to bring a unique TV static motif to life at Philadelphia Community Access Media (PhillyCAM). 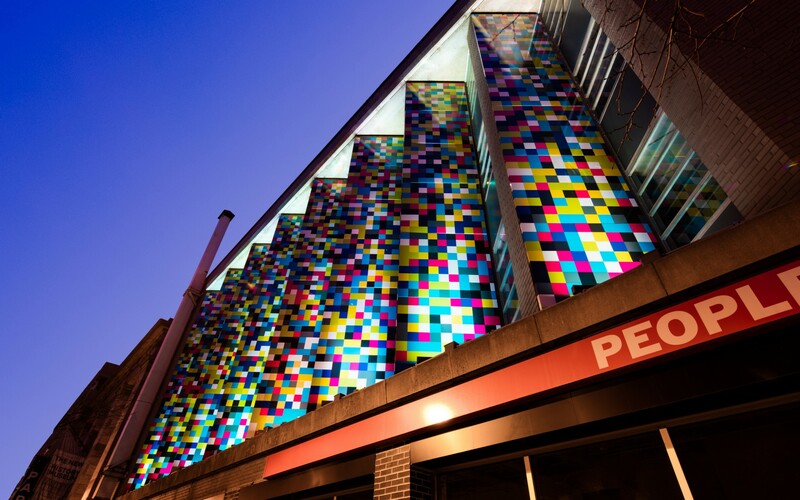 The Lumenfacade fixtures were used to light the bottom half of the facade, while the Lumenbeam fixtures were mounted a couple of feet away from the panel, thus lighting the upper portion of the graphics. Philadelphia Community Access Media (PhillyCAM) is a non-profit facilitator of a public access cable system in the City of Brotherly Love. 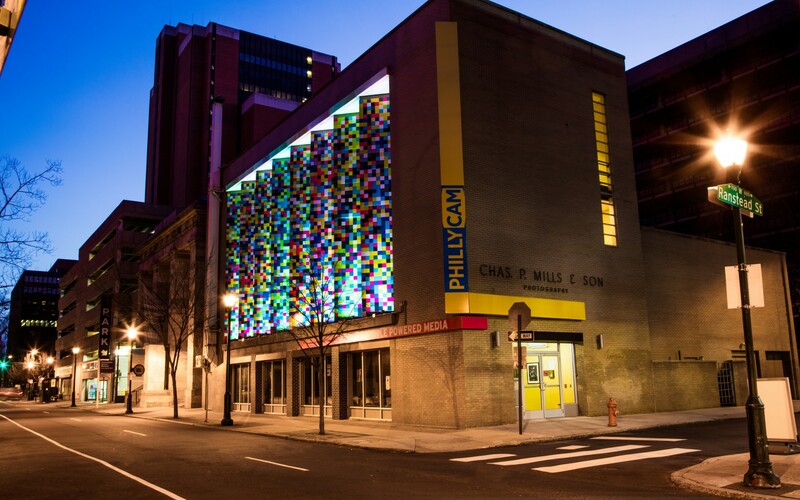 As part of a recent renovation, Metcalfe Architecture & Design sought to celebrate PhillyCam's role in the city's public broadcasting history, creating a multicolor pattern on the building's vertical sawtooth upper facade, reminiscent of television static. To help bring the concept to life, Metcalfe Architecture & Design turned to design firm BEAM, dedicated to the integration of architecture and lighting design. "The original intent was for the lighting to be static white, but we thought that color would make the facade much more dynamic," says Kirsten Kent Carangi, Principal at BEAM. 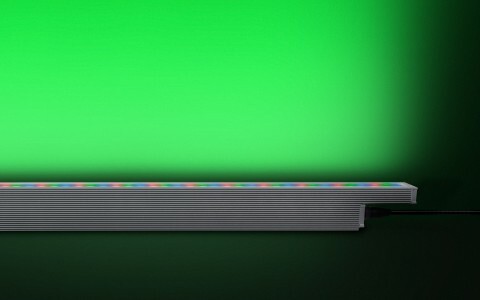 "We were trying to create the effect of static on TV, and by using different colors and by changing them, we could create a sense of movement,'' says Christina Spangler, Senior lighting designer at BEAM. 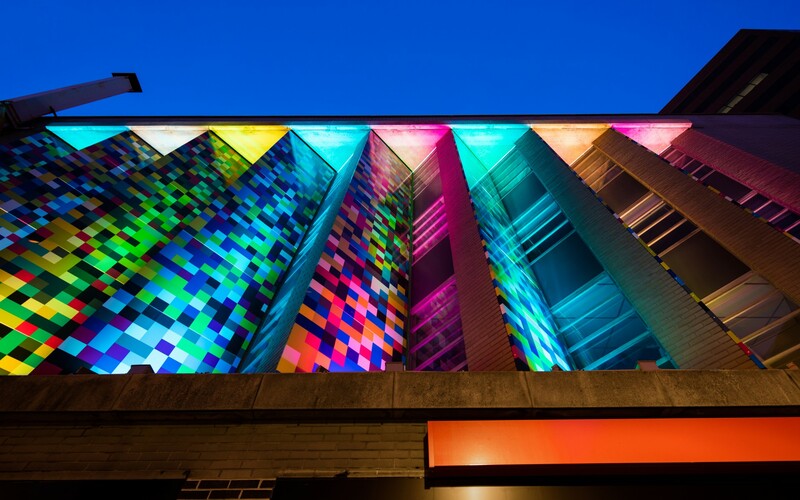 To create this effect, BEAM chose to use a mix of Lumenfacade and Lumenbeam Color Changing luminaires. The luminaires, which use a narrow beam angle, were installed in an alcove and aimed towards the top of the sawtooth facade. Programmed to cycle through different colors throughout the night, the luminaires were carefully aimed to limit glare and light pollution in the surrounding area. 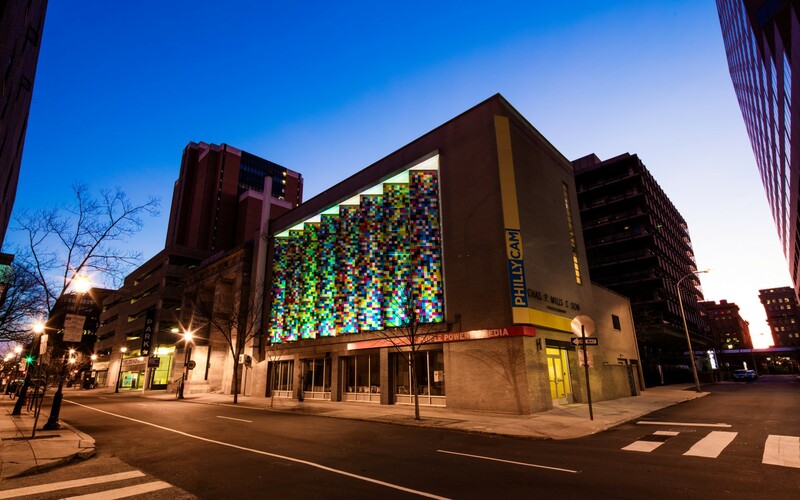 "The Lumenfacade fixtures were used to light the bottom half of the facade, while the Lumenbeam fixtures were mounted a couple of feet away from the panel, thus lighting the upper portion of the graphics,'' says Spangler. "When you sit there and watch the colors changing, it actually looks like static. 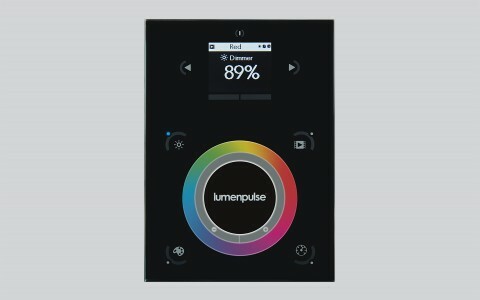 It became much more kinetic and active with the color changing,'' says Kent Carangi. "When we were setting up the shows, people were just stopping on the sidewalks. That was fun - the building previously was sort of a dark, unnoticed building, but now people were just stopping and watching," says Spangler.